Navigating how to fund a startup venture is often one of the largest barriers to getting started in a new business. It is perhaps even more difficult when you are trying to start a company that requires extensive research and development before getting to a product or service that can be sold. The purpose of this article is to provide an example of how multiple programs can be stacked on top of one another to provide financial continuity to a technology-based business. Allow me to propose a fictional technology-based company located in Arkansas that has a high degree of technical risk. This example is written with the greatest degree of optimism possible, stating the shortest conceivable timeline, maximum possible funding and highest probabilities of success. Please keep in mind that not everyone will be eligible for each of these funding programs and even if you are eligible, these are competitive programs and even good applicants may not receive an award. First, let’s look at what I consider Phase 0 Funding. 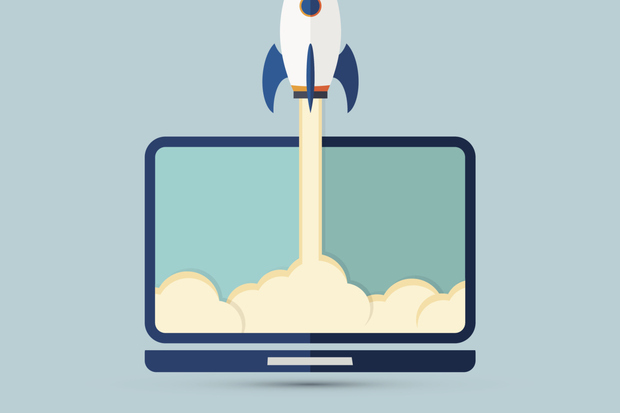 The proposed venture applies for and receives a TTAG grant of $3,750 matched by $1,250 from the company itself to support grant writing of an SBIR proposal. At the same time, the founders enroll in a concept stage training program such as the Delta I-Fund or I-CORPS GO that could each provide up to $25,000 in funding and valuable training on customer development methods to de-risk later research and development, saving money in the long run. Note that the traditional I-CORPS program is open to university-based teams. The GO program is a pilot in 2018 to allow non-university companies to participate in I-CORPS. After understanding the customer and having basic scientific principles observed, the company applies for Small Business Innovation Research (SBIR) Phase I Funding. Using the National Science Foundation as an example, suppose this company applies for and receives a Phase I grant of $225,000 in seed capital to conduct the first phase of product Research and Development (R&D) over a minimum of 6 months. With the SBIR Phase I Funding, the company also receives an SBIR Match. The Arkansas Small Business Innovation Research Matching Grant Program provides AR companies a matching grant of $50,000 for their Phase I award. Note that SBIR/STTR funds cannot be used for business development, marketing and sales, production, patent costs, entertainment, and sometimes equipment purchases. Additionally, grants may be on a reimbursable payment schedule, meaning it might be several months between when the business must be able to cover the expenses and when cash is in hand. To cover these expenses, the business needs capital. At this point, what will happen most commonly is that the entrepreneur puts in $50,000 of their own money and raises another $50,000 from friends and family, effectively raising Seed Funding. Alternatively or in conjunction with the friends/family raise, you may also apply for the Technology Development Program (TDP) which provides a total maximum award of $100,000 for the development of a given technology. A match of private dollars may increase your likelihood of award but is not required under the TDP. You can expect to pay a negotiated royalty (say, +/- 1%) on future sales generated from the developed technology for up to ten years, or until 1.5x the investment is paid back, whichever comes first. After successfully completing the Phase I award, our fictional company applies for a second-round investment of $750,000 over 24 months in the SBIR Phase II Funding. Again, the Arkansas Small Business Innovation Research Matching Grant Program provides a match, this time of $100,000. Now entering Phase III (or commercialization), the company is ready to scale up and is raising $1 million in risk capital, known as a Series A Investment. At this point, the company is in a position where they are likely to add new jobs and is, therefore, a good fit for the Arkansas Department of Finance Risk Capital Matching Fund, which provides a co-investment to augment investments made by angel or other institutional investors. This program could provide $200,000 with a matching investment of $800,000. (Note the maximum co-investment is actually $750,000 but that would be for a much larger investment round.) The match would come from a syndicate of high-net-worth individuals, Angel funds, and investment groups like Fund for Arkansas’ Future. Raising this $1 million makes the company eligible for the NSF SBIR Phase IIb supplement of an additional $500,000. The proposed venture will also consider Tax Incentives. An Equity Investment Tax Credit of 33 1/3% could be used to leverage the $800,000 private investment and generate a $266,666.67 tax credit for the investor(s). Your investor would then either use these tax credits to offset their tax liability or sell them at a discount for cash. R&D Tax Credits are a powerful tool that can put cash flow back into the business. Since our fictional company is in a targeted business sector, they are eligible for the In-House Research income tax creditsequal to 33% of the qualified research and development expenditures incurred each year for up to five years. These tax credits may be sold. It is reasonable to assume that at least 60% of the expenses were direct, leaving a 40% indirect rate. Since essentially all of the direct work was R&D up to this point and the business has spent $2.855 million, there are $1,713,000 of qualified R&D expenditures eligible for the 33% incentive. The company sells these tax credits for 90% of their value and receives $508,761 in cash. We know that a portion of the employee salaries were actually spent on indirect activities that weren’t eligible for the R&D tax credit. Hypothetically, this might total $100,000 in payroll over the multi-year time period. The business may also apply for Payroll Income Tax Credits, which are transferable income tax credits equal to 10% of payroll (so long as it is not for the same expenditure claimed by the R&D program, above) for up to five years. This would be another $10,000 in income tax credits generating $9,000 cash upon sale. The venture may decide to forego the Payroll Income Tax Credits and instead take advantage of a Payroll Rebate equal to five percent (5%) of the payroll for new full-time permanent employees for a period of up to ten (10) years. I will skip estimating this benefit as 10 years is past the startup phase and payroll/employee growth will vary greatly depending on the commercialization strategy selected. The proposed fictional company has received $3,372,761 in financial resources with a private investment of $901,250 ($266,666.67 of which was immediately returned to the investors). Non-dilutive funding early on can significantly de-risk a product and add value to the company, making it much easier to raise capital. You can apply for up to two TTAG grants annually and may be eligible for multiple SBIR awards during the same cycle (if for clearly separate projects). Since funding levels are often lower than 30%, it can be a good strategy to have multiple proposals in play. Cash flow is important. You should have reserves to float expenses in between paying for an item and getting reimbursed for it. Always take the full 7% for-profit fee when applying for federal grant funding as a small business, but know this will not sufficiently cover legal and general business expenditures. Some state incentive programs are only available to startups in their first 5 years of business. Also, they may not be able to claw back retroactively, so at least establish contact early in the process. 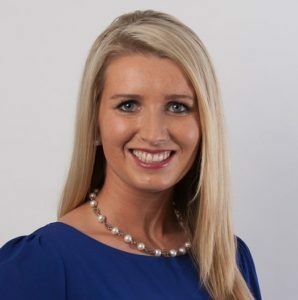 Haley Allgood, Executive Director of Startup Junkie Foundation, leads programs focused on entrepreneurial education, inclusive ecosystem development, technology commercialization, and workforce training. Outside the office, Haley enjoys traveling, playing with her two pups, and and relaxing at the pool with friends!